About AMI - Reverse Osmosis Membrane Distributors | Applied Membranes Inc. Applied Membranes, Inc. is committed to meeting or exceeding our customer requirements and to providing continuous improvement to our processes. At Applied Membranes Inc., quality is paramount in all that we do. Our company quality policy says it all and drives how we handle all customer requests - no matter how big or small - to ensure high levels of customer satisfaction. We have an extensive pool of resources to ensure that our customer needs are met and exceeded, and we continually strive to improve our capabilities and performance in order to provide the highest quality and technologically advanced products available in the industry. Our Certified Water Experts and Engineers can create custom solutions to solve virtually any water treatment challenge. From feed water report analysis, detailed drawing and budgetary proposals, prototype and pilot testing, to system startup, our technicians are involved every step of the way to ensure the success of the project. 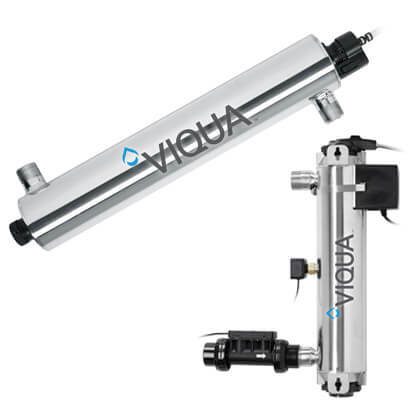 With hundreds of membrane and system designs in production, we are also a leading manufacturer of standard solutions and welcome the opportunity to standardize any design for large volume production. AMI's state of the art ISO 9001:2015 and NSF certified facility features the most sophisticated manufacturing and testing equipment technologies in the industry. This includes automation, comprehensive performance testing and analytical tools. All manufacturing equipment is subjected to thorough qualification tests and is maintained and calibrated regularly to ensure consistent and reliable products. Our certified water quality technicians will work with you to find the best solution to your water quality challenges and support you in the operation of your installation. We stock a large inventory of consumables and support products in order to keep you up and running. Our friendly customer service staff is here to assist you and ensure your needs are taken care of. Starting as a one man show in 1983, Applied Membranes has grown to an organization of 200+ professionals with a vast base of expertise, awards, certifications, and capabilities. In the past 30 years we have outgrown five manufacturing facilities, completed many benchmark projects, and gained a solid reputation of quality, service, and reliability within the water filtration industry. 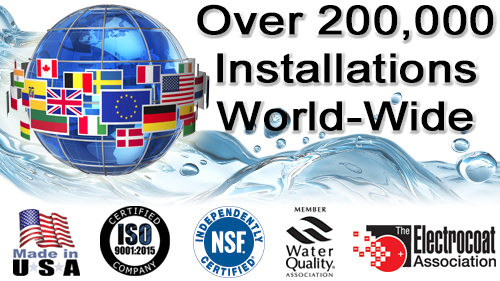 With over 8 million membrane elements rolled and twenty thousand water treatment system installations, we have the real-world experience needed to ensure the success of any project. Committed to continual improvement, we treat every challenge as a learning experience. Our products designs and material selection reflect decades of knowledge gained where it most counts: from actual operation and performance in the field. Above all else, quality and customer satisfaction are our highest priorities. We implement rigorous performance and integrity testing to ensure our products are achieving optimum performance, using internal test standards that exceed the published requirements. From design control to in process quality checks to final QC, quality control is built into every point from design to production to release and shipment.